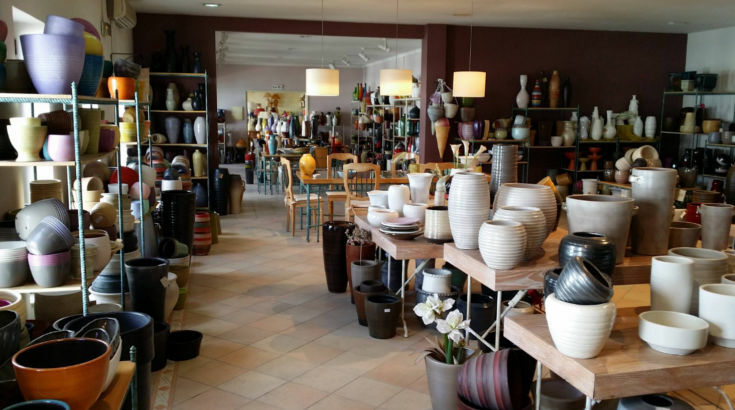 Ceramica Fonte Nova was founded in 1992. We are located in the Industrial complex of Oia, Oliveira do Bairro, Portugal. The company, although relatively recent, has gathered a large portfolio of customers due to a wide experience of more than 20 years in the business of one of its main partners, who brought to the market a product with innovating characteristics; which is the fundamental reason of our success. The management’s strategy has been to follow the permanent evolution of the market and its trends, visiting and participating in international fairs of reference (German, France and Portugal). The internationalization of the company is an acquired value that places it, however, in confrontation with a highly competitive market, every day more demanding and global. That’s why Fonte Nova focus its attention on the foreign markets, concentrating in furthering its internationalization through direct commercialization and through Agents from England, Scandinavia, France, German, USA, Canada, Japan, Australia and Spain. Our constant strive to be in the leading group, led the company to introduce the System of the Quality Guarantee in 1998. This process had a clear objective, to reorganize the company leading to a continuous improvement of methods and procedures, to raise and reinforce the company image as well as the level of client satisfaction. In 2002, Fonte Nova started with the transition to the new Quality System Reference, NP EN ISO 9001:2000, being implemented with success in January 2003. The effective completion of these objectives, were accomplished with the help and effort of our collaborators, clients, suppliers and other entities, to who we address our most thankfulness.